With styling updates for 2016, the Lexus RX SUV gets better and better. There isnâ€™t much to dislike about the RX sport-ute and one can easily determine the reason-or reasons this model is so popular; and remains so, year after year. Our test RX 450h F-Sport Hybrid version, with the F-Sport package, suits this writer just fine. Standard equipment alone is enough to satisfy most drivers, but this hybrid model added several nice options. Lexus took a chance and dared to update the styling of this ever-popular sport-ute for 2016. While some may not like the new front grille, it is different, and stands out a little bit more from the rest. This is a good thing, as the RX was resting on its laurels, not changing much, including boring styling. A technological leap forward, the 2016 RX sports a 3.5-liter V-6 engine (w/Hybrid drive, in this case), teamed with an eight-speed automatic transmission. Our test car came equipped with On-Demand all-wheel-drive; front-drive is standard on the RX. The RX cabin uses interior materials that can only be construed as â€˜upscale.â€™ The F-Sport package adds supportive seats, among many other upgrades. While Lexus was the first to bring this RX sport-ute to market, there have been since, several to join the category, including the BMW X4 ($46,245-$58,795), the new Jaguar F-Pace ($41,985-$70,695), Porsche Macan ($53,650), Mercedes-Benz GLC-Class ($39,8750$41,875), Cadillace XT5 ($39,990-$63,495), among others. 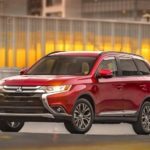 Although the public appears to be less interested in choosing a hybrid vehicle, due to lower gas prices, there is still a market, and one with so many other choices in 2016. Lexus has made some changes and additions to the RX 450h version to interest those still looking for ultimate efficiency. Since 2005, Lexus has offered the RX hybrid version, and this year has combined the hybrid feature with their F-Sport trim, for the first time. We love the F-Sport package ($3410), and grew to appreciate its appeal in the Lexus IS 200t model. When added to other all-wheel-drive models, the F-Sport package includes such things as adaptive variable suspension, F-Sport+ setting for drive modes, a restyled lower front fascia, rear bumper and 20-inch wheels. Visuals like the black mesh grille and black side-mirror caps are also thrown in, with a F-Sport steering wheel. The different drive settings change the throttle response and climate-control function (in Eco mode). Normal and Sport or Sport+ are other choices. Not sure how many drivers actually engage all these modes, but we like the idea of a â€œsportierâ€ Lexus. We imagine driving a performance vehicle. While weâ€™re not sure it fits in a SUV, we sure enjoyed the added â€˜perceivedâ€™ performance in the Lexus IS 200t and now RX sport-ute. Adaptive Front Lighting System Headlamps ($1,050), Panoramic Moonroof ($500), Navigation System w/12.3 in. multimedia display, Lexus Enform Destinations ($430), F-Sport steering wheel ($50) and credit for All-Weather Drive Performance ($1,400). In December of 2015, Lexus announced the 2016 RX would be the first sport-ute to offer the optional Lexus Safety System+ (LSS). Equipped with adaptive cruise, forward collision alert, auto high beams, auto-braking with pedestrian detection and lane-departure warning, the system was estimated to cost between $500-$635; as noted above, packaged with the Front Lighting System Headlamps, is at $1,050. We found the pedestrian detection system to be very sensitive. While sitting in a driveway, a few feet from the road, the system went off each time a car passed. Toyota offers the system on the RAV4 and Avalon models, calling it the Safety Sense P Package. The LSS package was available in 2015 on the Lexus LS sedan; the only model that can come to a complete stop upon braking, accompanied by the pedestrian detection feature. Having experienced this feature, itâ€™s quite mind-boggling. Being able to come to a full stop at 25 miles-per-hour when detecting stationary vehicles, is impressive technology. Also, Lexusâ€™ pedestrian detection from 19 mph offers a secure feeling when navigating busy areas. As someone who walks dogs in busy areas, these new features help drivers pay attention and be more alert. Always active between seven and 50 miles-per-hour, the LSS technology also controls the steering to maintain the vehicle place within lane markers. It is near impossible to find negatives surrounding the Lexus RX lineup; the Hybrid has few exceptions. Although we found the hybrid system to be a tad noisy upon start-up; at idle, not so. Getting up to highway speeds is impressive and of course, the cabin is quieter than most. This vehicle is near perfection, particularly when raising the windows; they go up so quietly and unobtrusively. Fit and finish are top-notch, the interior rich-looking and the rear seat, roomy. Rumor has it that Lexus may add third-row seating to the RX models; we hope not. Trying to be all things to all people doesnâ€™t necessarily turn out well. Headlamps/integrated LED fog lamps/LED daytime running lamps, Vehicle Theft-Deterrent System with Engine Immobilizer, Lexus Enform Safety Connect/Automatic Collision Notification, Stolen Vehicle Location Emergency Button, Roadside Assistance, Lexus Enform Service Connect, Lexus Enform Remote, Lexus2-speaker Premium Display Audio System HD radio with iTunes tagging, dual USB Control, Sirius XM Radio; Backup Camera, Auto Dual Zone Climate Control, Moonroof, Power back door, Rear View Mirror/Auto Dimming/Homelink Garage Door opener, Smart/Access with push button Start/Stop, Carpeted Floor Mats. We found the Lexus display helpful and easy to read, however, not very intuitive to operate. We also became accustomed to the heads-up monitor, displaying not only the local speed limit, but the driver’s speed and a compass. An additional compass is available on the display. Engine: 3.5-liter DOHC, 24-valve V-6 with VVT Front Electric Drive Motorâ€™s w/Lexus Hybrid Drive, 308 hp. EPA Fuel economy: 30/28 mpg.